Car Lights & Windscreen wipers play a major role in safe driving – the chances of accidents increase if you can’t be seen or see others. Its all to common to get a car in with a fault of this nature that hasn’t been addressed, if you find your car has one of these faults get it booked in and resolved at once. What do they do? The wiper system keeps excessive water, snow or dirt from building up on the windshield and removes them to maintain clear visibility through the windscreen. The lighting system provides nighttime visibility, signals and alerts other drivers. It also supplies light for viewing instruments and cars interior. 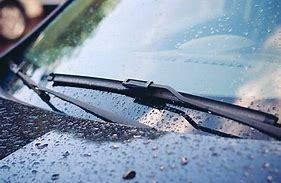 Sunny weather – wiper bladed deteriorate faster and need more frequent replacement in Hot weather. Parts that relate to your lights and wipers include; Wiper arm, wiper blade, wiper motor, fog lights, headlights, parking lights, turn signal lights, emergency flashers, washer fluid, washer fluid reservoir, fuses, instrument lighting, interior lights, stop lights, tail lights, marker lights and back up lights.